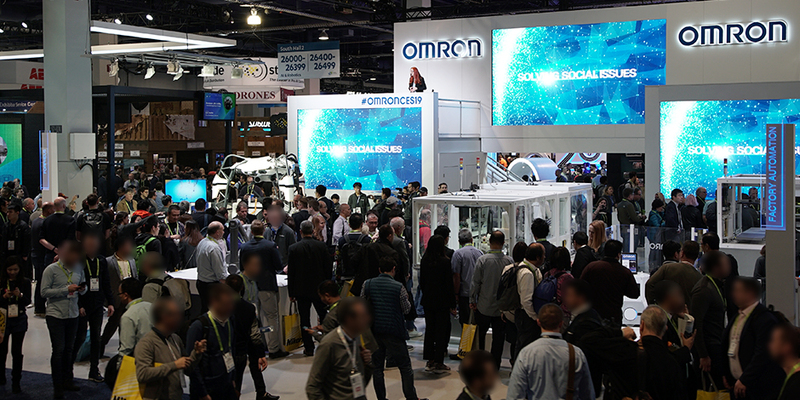 From 8th to 11th January 2019, OMRON Corporation exhibited for the second consecutive year at CES, an annual tech event of the largest scale in the world, with more than 4,500 exhibitors from across the globe. The 180,000 attendees were able to view transformative tech encompassing 5G connectivity, artificial intelligence, augmented and virtual reality, smart cities and resilience, robotics and more. 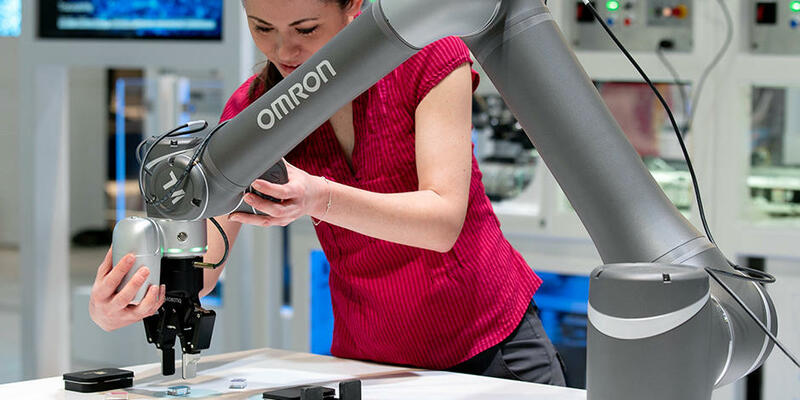 OMRON, serving a range of industries to innovate and grow with its factory automation, healthcare, mobility and energy management technologies, exhibited in the Robotics Area. 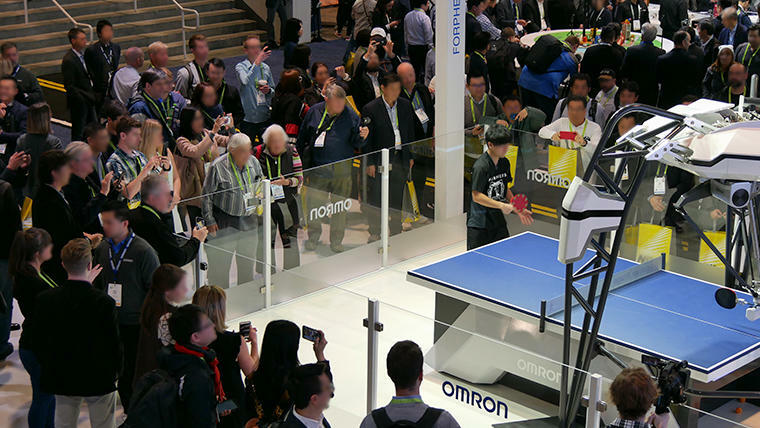 Last year, one of the CES exhibits that attracted particular attention was OMRON's robot table tennis tutor FORPHEUS. FORPHEUS is world's first AI-equipped table tennis tutor. With the capacity to sense, move, and respond appropriately to the opponent's actions, it can play table tennis with players of a range of skill levels. 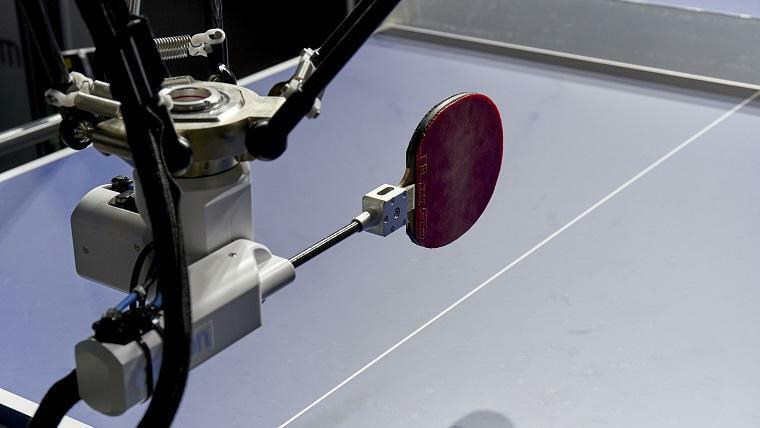 Not only does it play table tennis, but it also enhances the human player's ability-making it a tutor rather than a simple ball hitting machine--while learning from the human player to improve its own skills. Traditionally, robots were expected to follow orders from humans to increase efficiency. OMRON believes that the relationship is starting to shift to a less linear one, exemplified by communication robots and AI-equipped smartphones that assist and communicate with users. 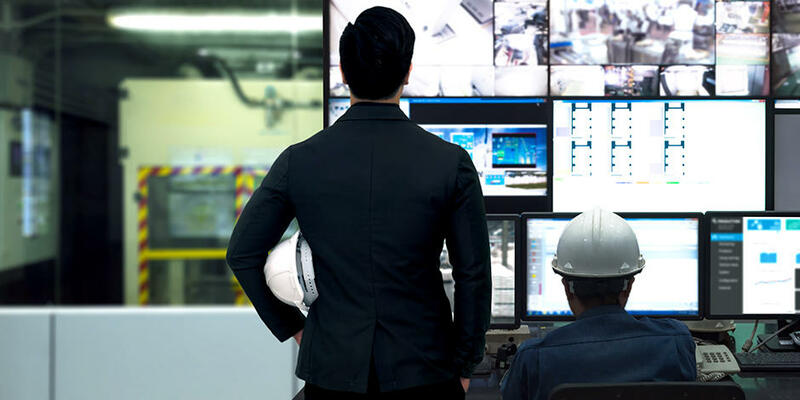 Such a relationship where both can learn and merit from each other represents OMRON's vision of a future of harmony between humans and machines. This year, FORPHEUS was back in Las Vegas in its 5th Generation Model, equipped with new features that produce a more exciting game through an increased variation of moves. While the 4th Generation FORPHEUS was already equipped with the capacity to maintain rally and predict smash shots, the 5th Generation FORPHEUS has additional features such as the ability to cut/drive return balls, enhanced people and ball-sensing & prediction, and more AI-powered personalized coaching skills. A game is made more enjoyable when randomness is involved. In the case of table tennis, the variation in the trajectory of the ball and the rhythm of returns increase the enjoyability of the game. The 5th Generation FORPHEUS's increased number of control axes and the added elbow mechanism of the high-speed robotic arm allow for just that. With the expanded range of possible movements, FORPHEUS can now apply topspin and backspin on shots leaving it up to chance the ball's path after its bounce. FORPHEUS can also cut shots returned by the human player, creating a greater variation in the rally. FORPHEUS's moves are not pattern-based and can surprise the human player, thus motivating them to continue playing. In fact, the prediction capacity of the new model has been enhanced through the use of four cameras and a high-speed image processing stereo camera. FORPHEUS can sense simultaneously the player's form, skill, position and speed of the racket and the ball's trajectory. 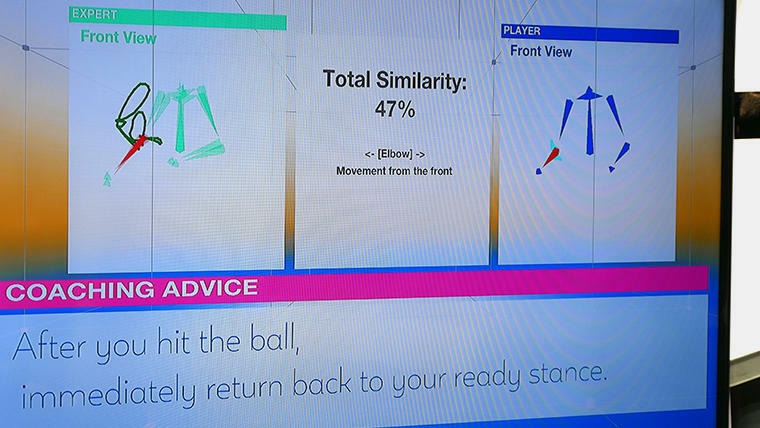 The various data allow FORPHEUS to better predict the direction the player will return the ball before it is actually hit, enabling FORPHEUS to return the ball with greater speed to the optimal location. FORPHEUS is not just a player but a coach as well. It determines the player's skill level and advises the players on how to improve. 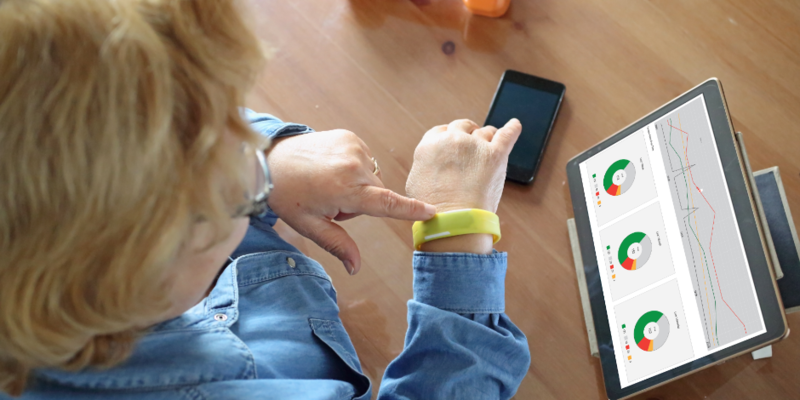 Through the data collected through the sensors, FORPHEUS analyzes the player's movements. By making comparisons to the movements of an expert player, it can comprehend the skill level of each player, and adapt by modifying the speed of returns. The analysis made through the comparison is also utilized to provide personalized coaching, so that player's movements become similar to those of more skilled players. Not only table tennis but sports in general requires an astonishingly complex combination of movements. Players must observe, process the information, coordinate the different muscles throughout the body while anticipating the next moves of the opponent. The seamless transition from input to output is made possible with OMRON's core technology, Sensing & Control + Think, on which FORPHEUS is based. Sensing & Control + Think is OMRON's approach to creating machines that can collaborate and enhance the potential of human partners. The latest technology in robotics, artificial intelligence, and machine learning are fused together to allow a robot to accurately sense its surroundings, control the movement of its body, and learn to respond most appropriately in any kind of situation. Evidently, these skills are as important in sports as they are for factory automation, OMRON's field of expertise. On the automated factory floor, the very same technologies used in FORPHEUS make up the sensors, motion controls and robots. Through learning from workers well-versed in the manufacturing processes, they achieve high-speed, highly accurate processing that has not previously been possible. In addition, these machines can understand and assist human movement, as well as human thinking. In return, humans can teach machines the creative know-how that can lead to evolution of these machines. 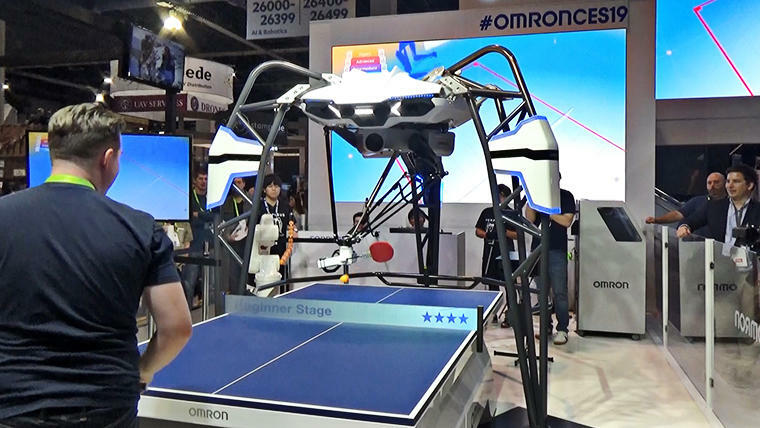 This is the "harmony" envisioned by OMRON--a relationship where humans and robots complement each other. FORPHEUS was surrounded throughout the event by a crowd eager to see it, play with it, and learn from it. The enthusiasm with which it was welcomed perhaps suggests that a future where humans and machines live in harmony is near. OMRON's endeavour to achieve such a future will continue.